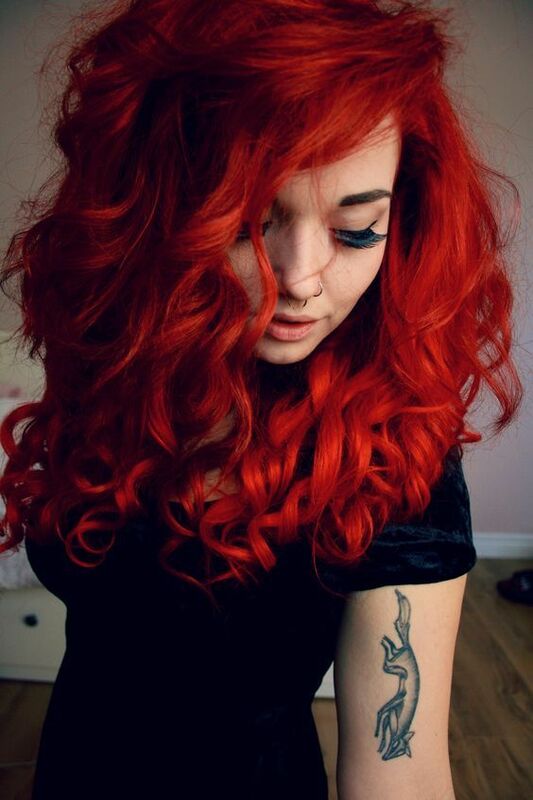 If you’re blessed with beautiful bright red hair – either dyed or natural, then you absolutely need to shout about it. 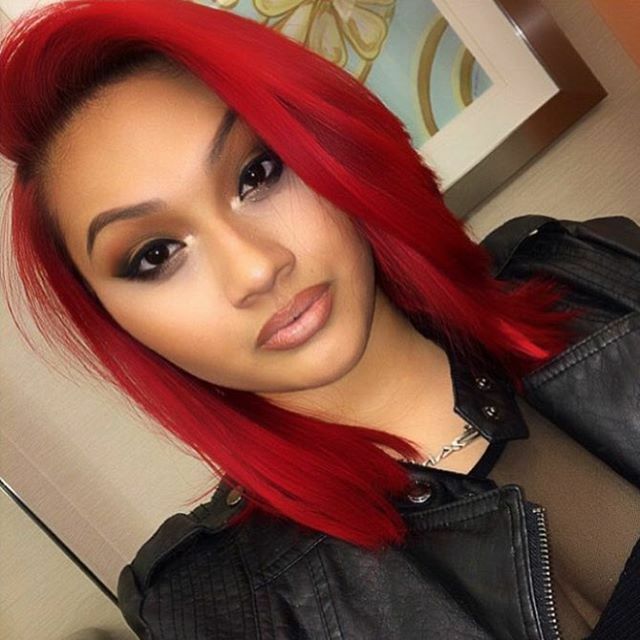 Red hair is not only incredibly stylish, but also super versatile at the very same time. 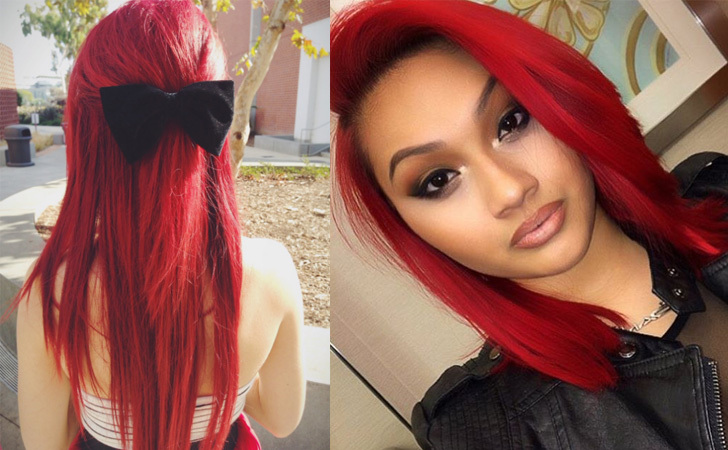 You can work red hair into a number of incredible hairstyles, and each of them will be just as beautiful as the last. 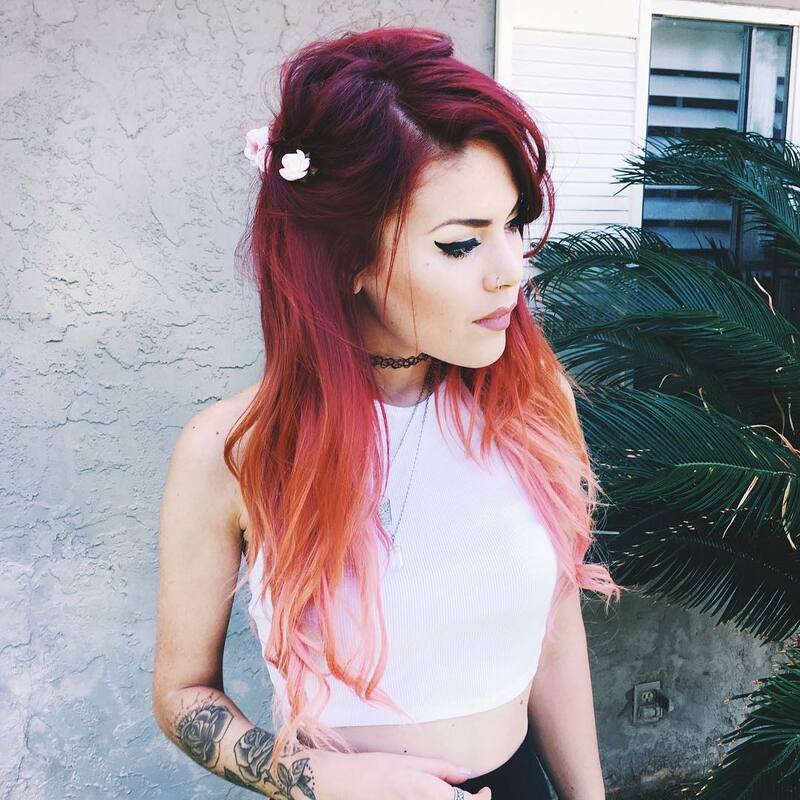 Here are some stunning hairstyles for red hair. 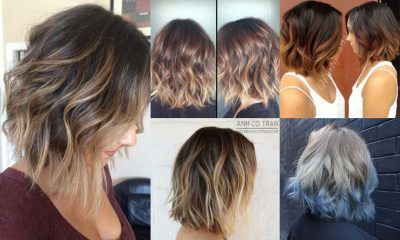 Each of these looks will show off your luscious locks and make you feel simply fabulous at the very same time! 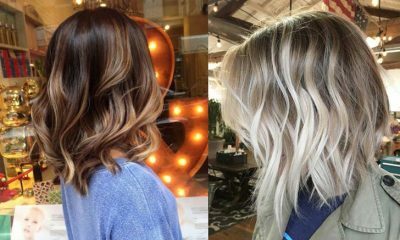 Long bobs are so in fashion right now – and with one glimpse of the incredible hairstyle pictured above it’s not difficult to see why. 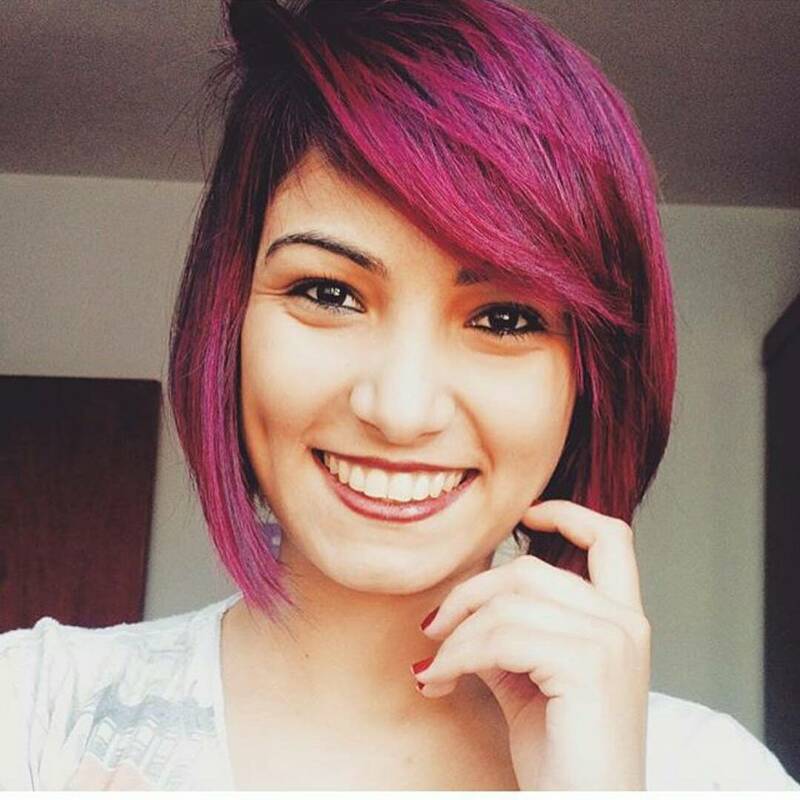 Copy this look by cropping your hair to shoulder length. 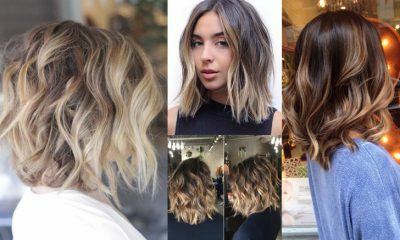 Opt for a side parting and add in lots of luscious curls from around the ear length down. 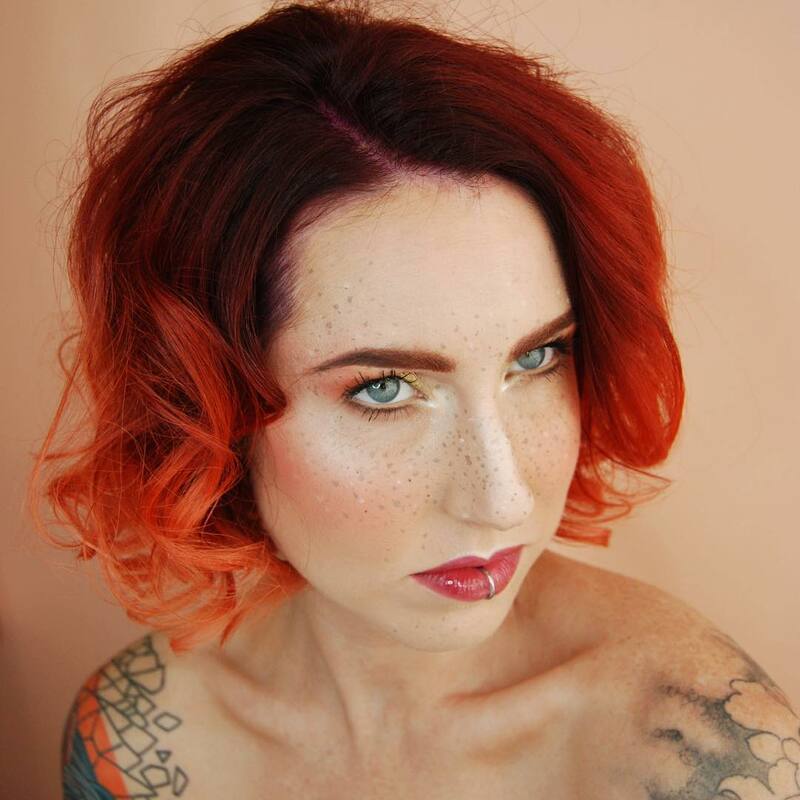 Tuck one side behind the ear and show off those gorgeous, glossy red curls! Scruffy is the new sleek – trust us! 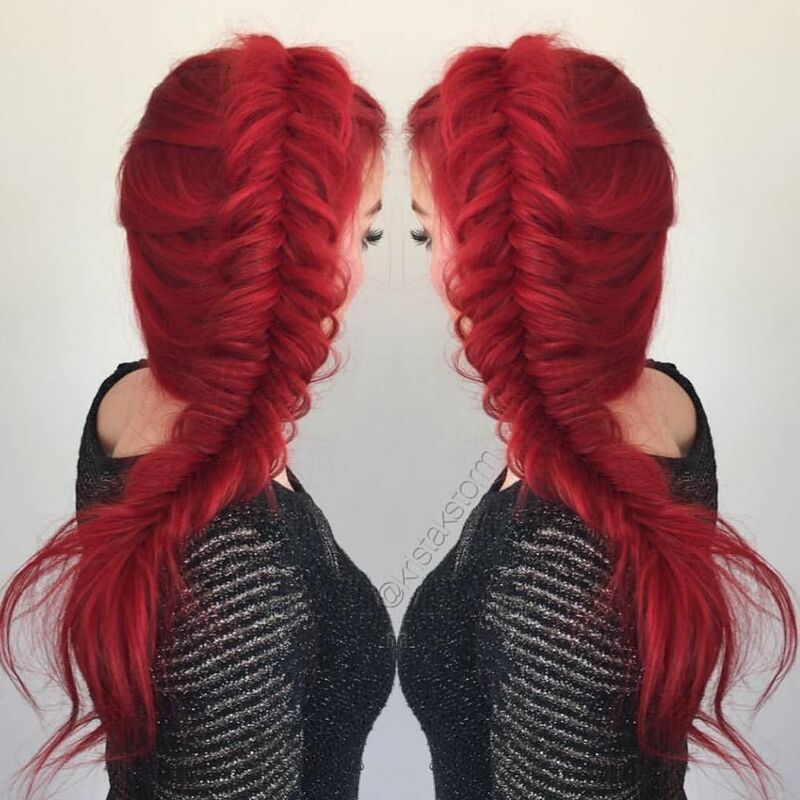 If you’re blessed with beautiful red hair then the best way to show it off is with a remarkable up do. Start by leaving lots of loose strands of hair to fall around the front of the face. With the rest of your hair, loosely pull it back, twist and fasten. Don’t worry about being precise – this hairstyle is all about being scruffy. 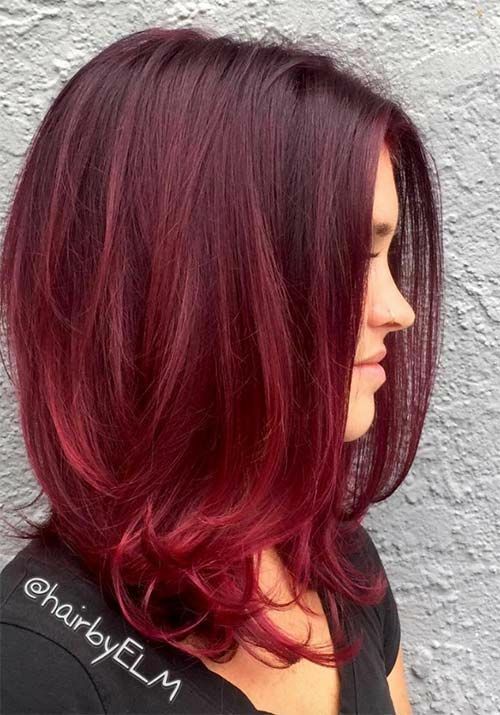 This striking shade of red has well and truly stolen the hearts of the Styles Weekly! 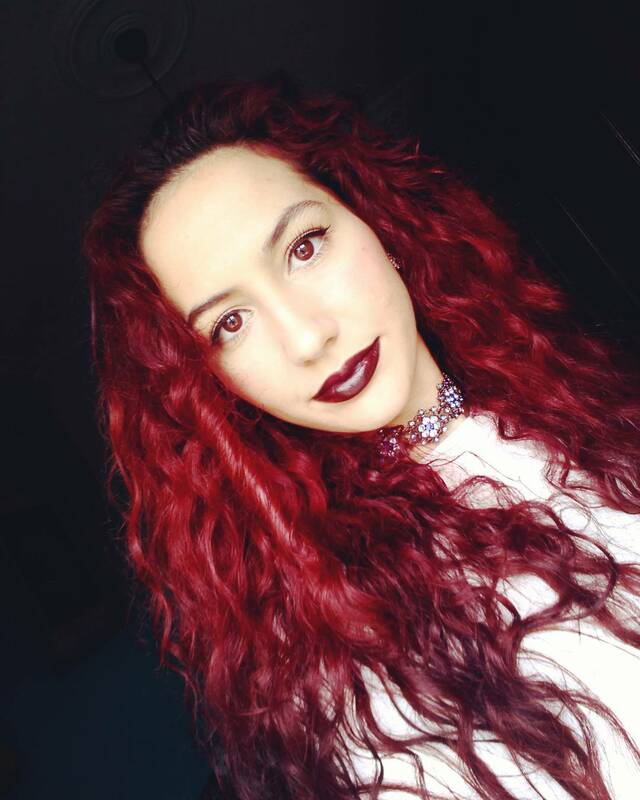 A gorgeous and deep shade, this colour works absolutely perfectly with these long, curly locks. 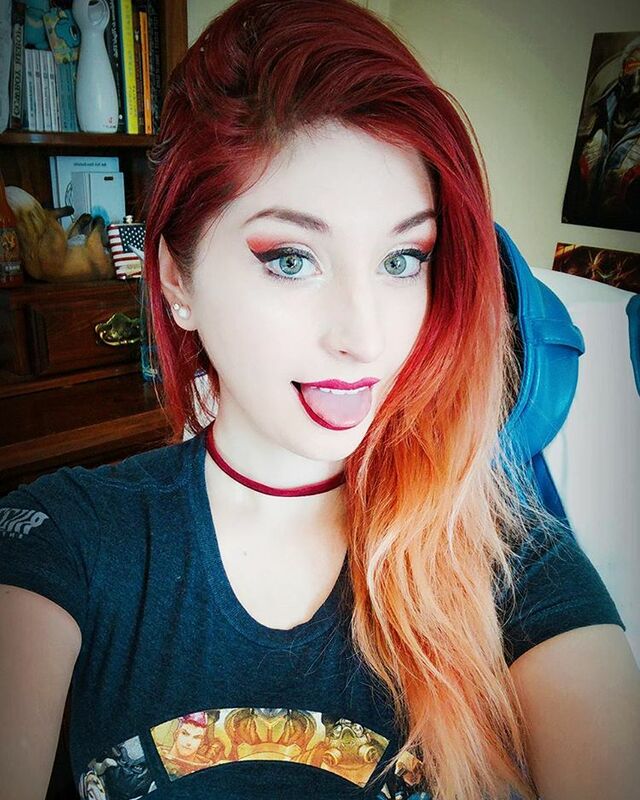 If you’re blessed with long red hair, part your hair in a side parting. 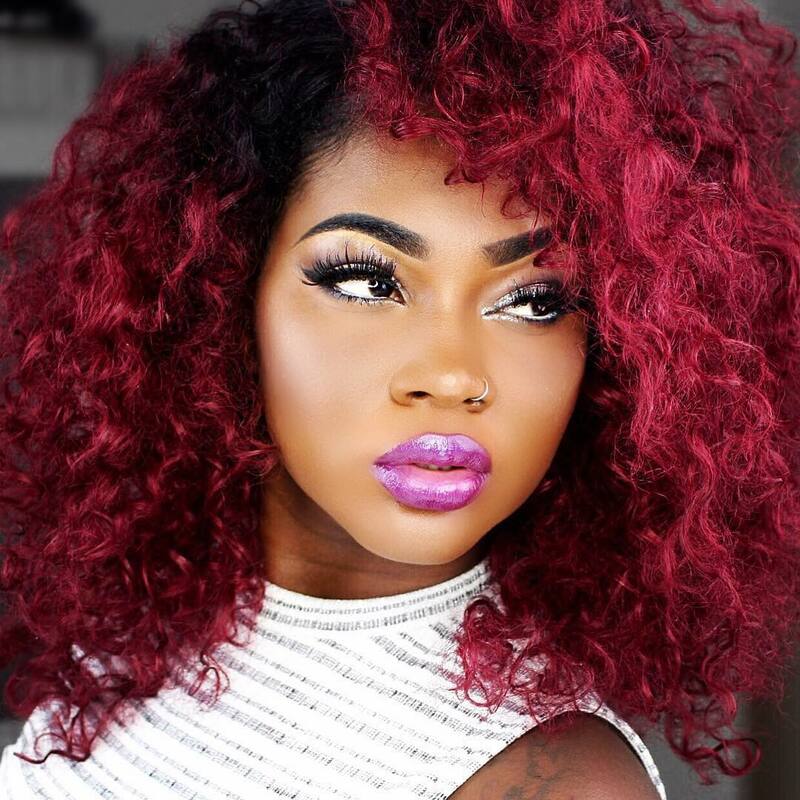 Work big, thick curls from around the eye level down and tousle with your fingers for a voluminous finish. 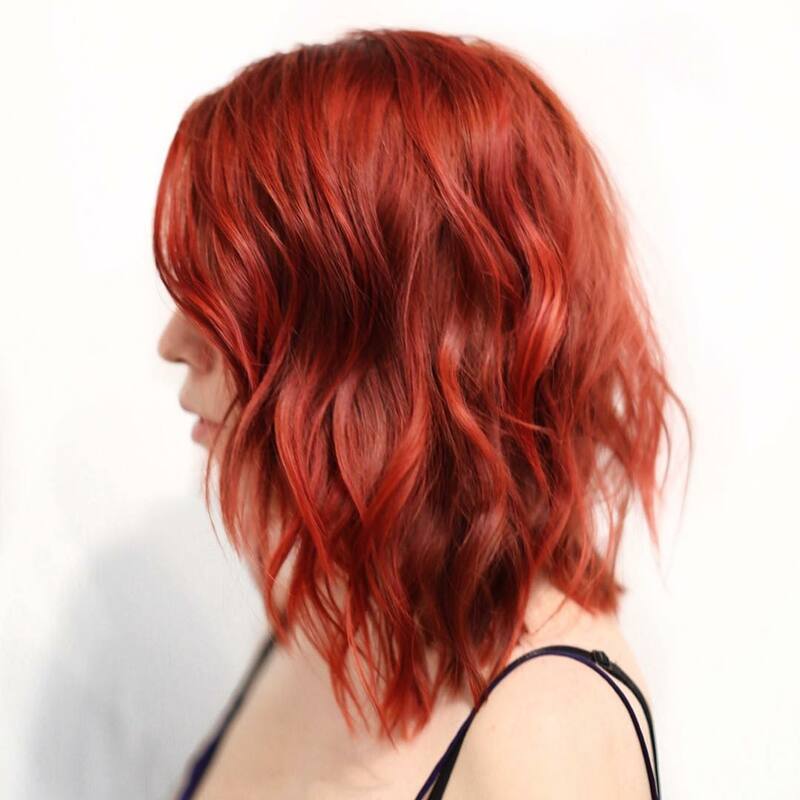 Graduated bobs are simply stunning hairstyles – but especially when you have such gorgeous, vibrant red hair! 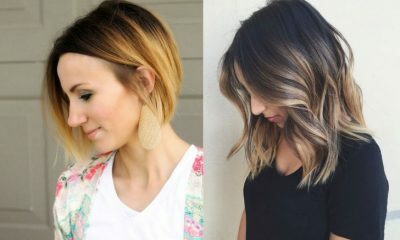 Chop your hair into a long bob, but with graduated ends – longer towards the front of the face and shorter at the back. Work a gorgeous, long and sweeping fringe across the forehead to frame the face. Finish with pretty, loose curls! 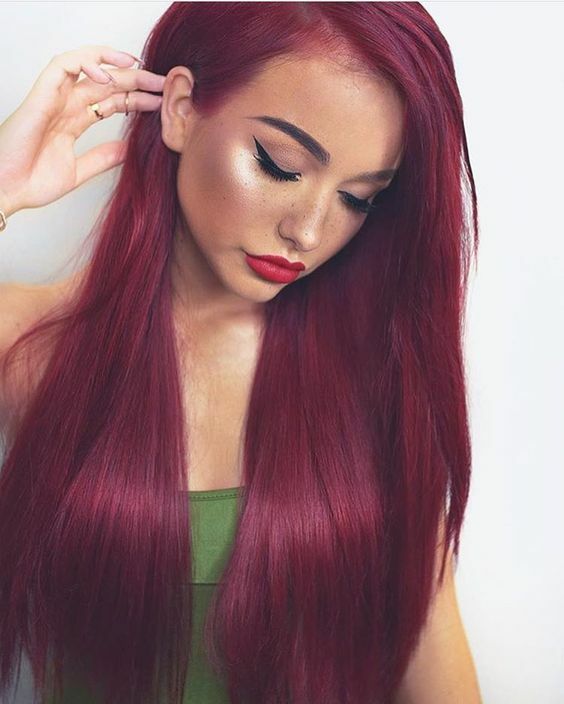 Sometimes, the best way to show off a gorgeous hair colour is by keeping your hairstyle sleek, straight and oh so glossy – don’t you agree? 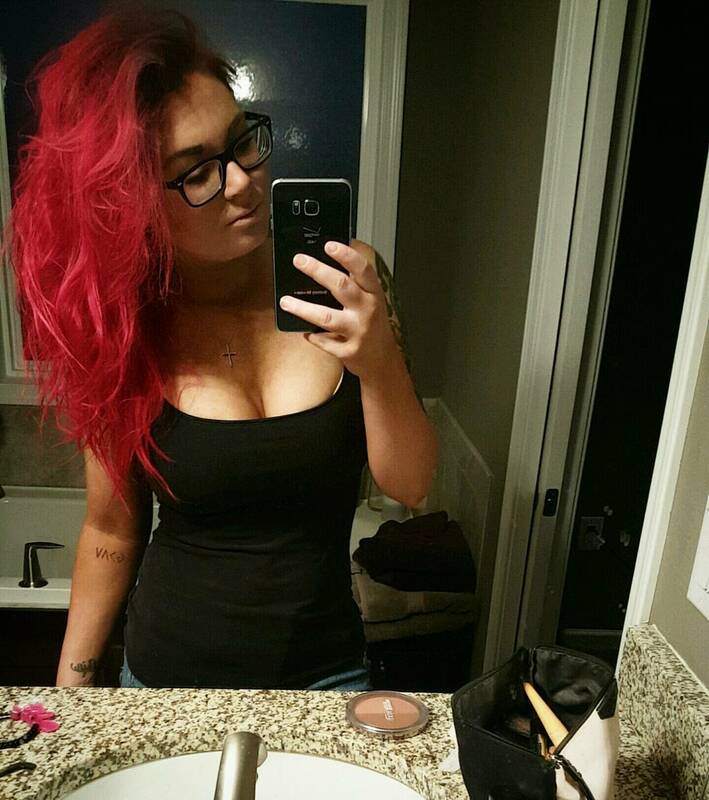 When your hair is this stunning shade of red it’s important to wow the crowds. 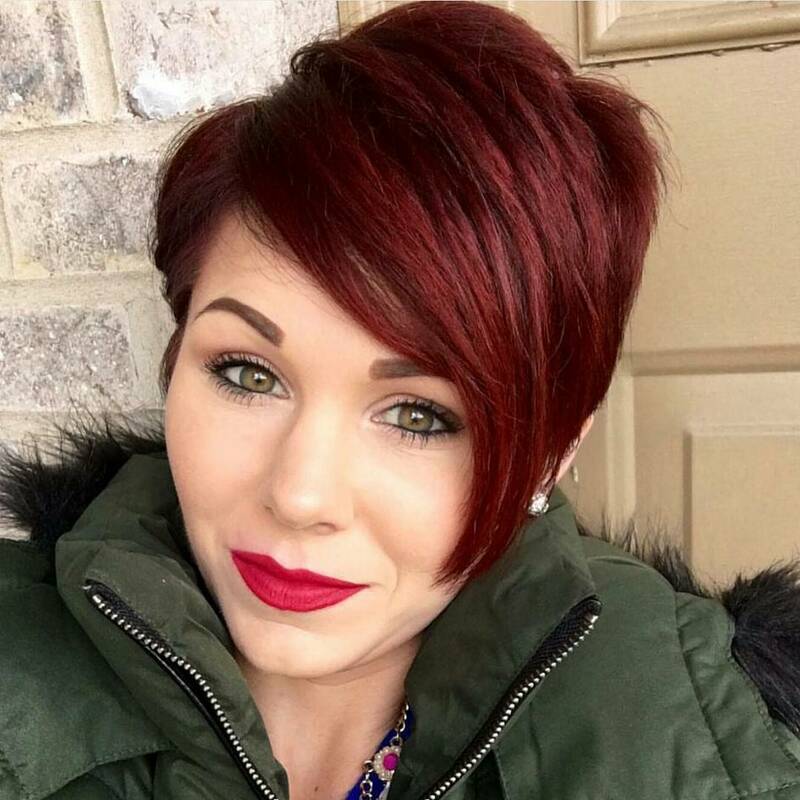 Keep your hair long and finish with shorter layers around the front of the face. 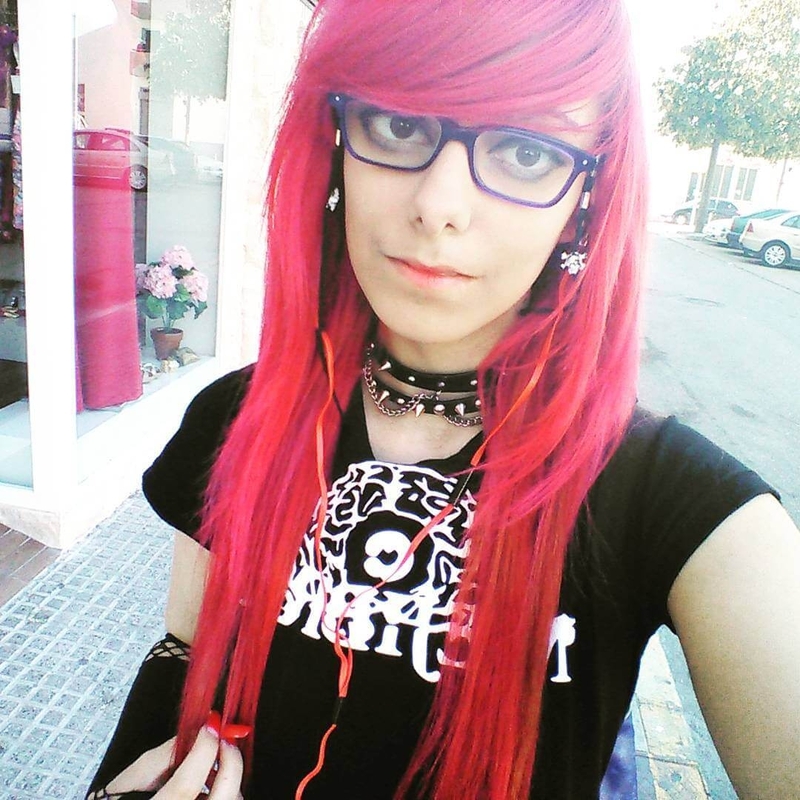 Straighten to finish for a fabulous end result. 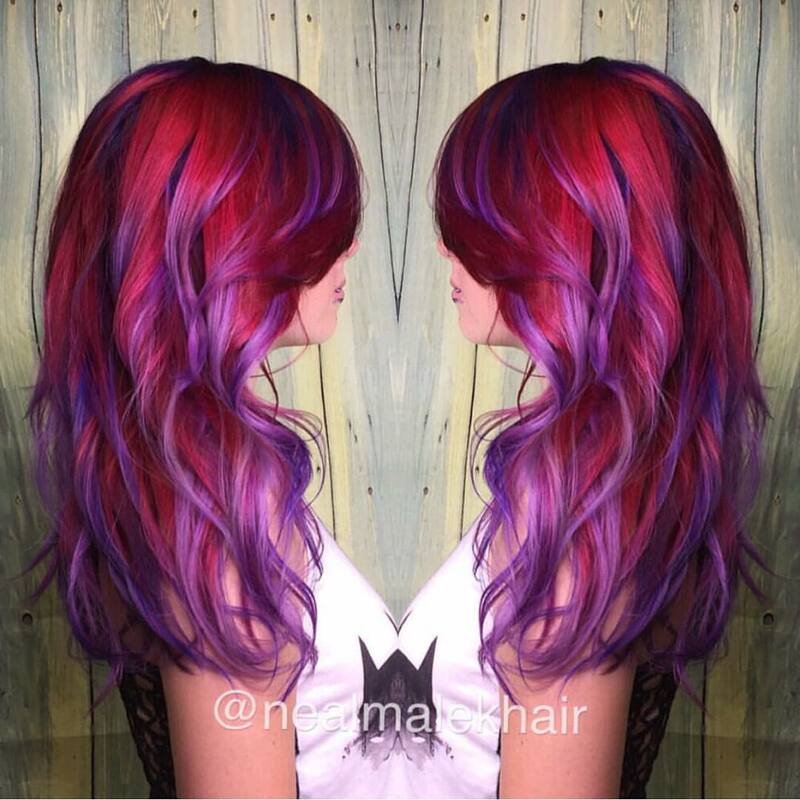 Ombre is another excellent way to work red into your locks. 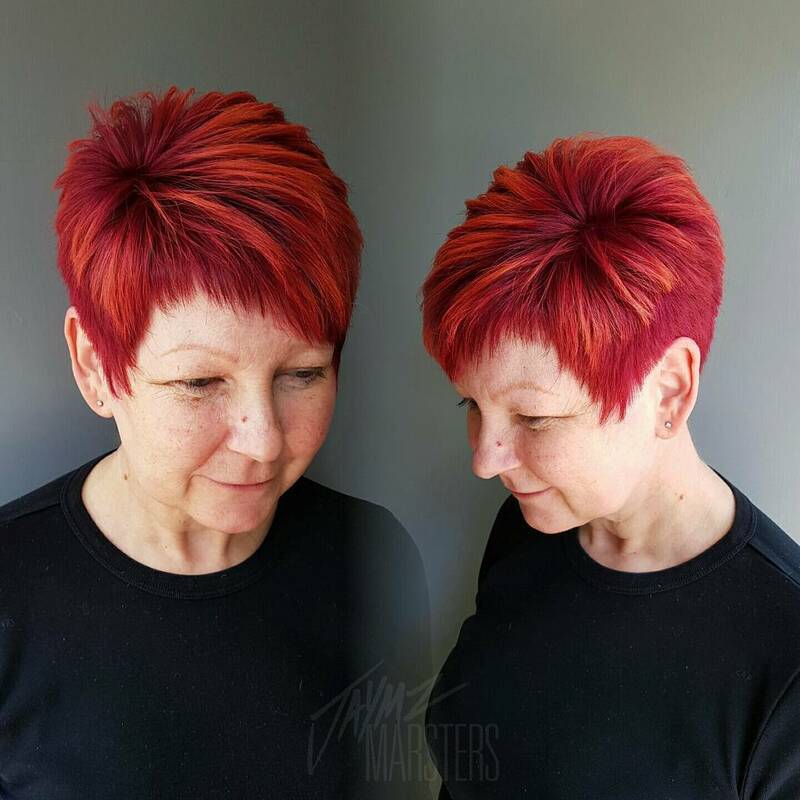 If you start with a dark root and blend quickly into a vibrant red you get a truly remarkable end result, as pictured above. We recommend cutting a sweeping side fringe to frame the face perfectly. Keep your hair cropped around the shoulder length and curl the ends under for effect. 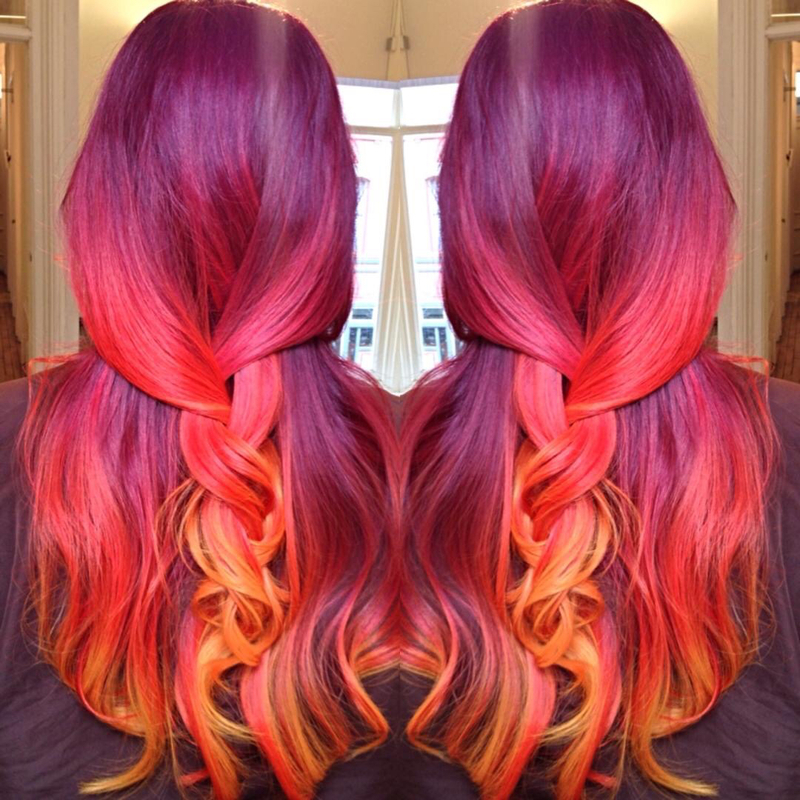 Hair as fiery as this deserves a seriously show-stopping hairstyle. 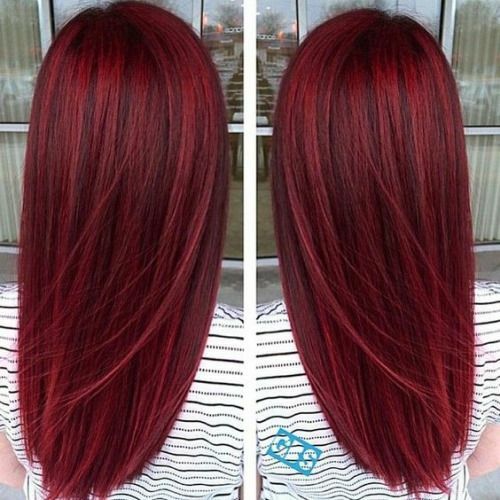 Start by dying your hair the most striking and vibrant shade of red that you can possibly find. Then, part your hair to the side so that you get a large fringe section on one side. Use tongs or straighteners to add tight ringlets to your hair from top to bottom for a wonderful and voluminous end result. 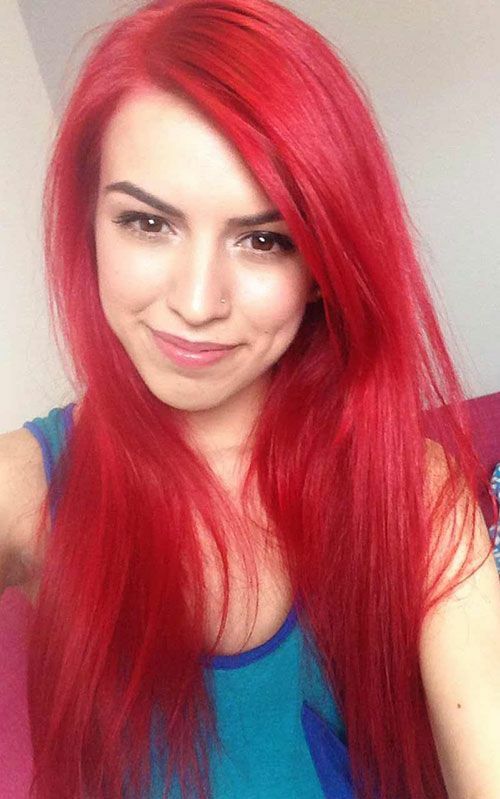 Centre partings are another seriously stylish way to show off red hair! 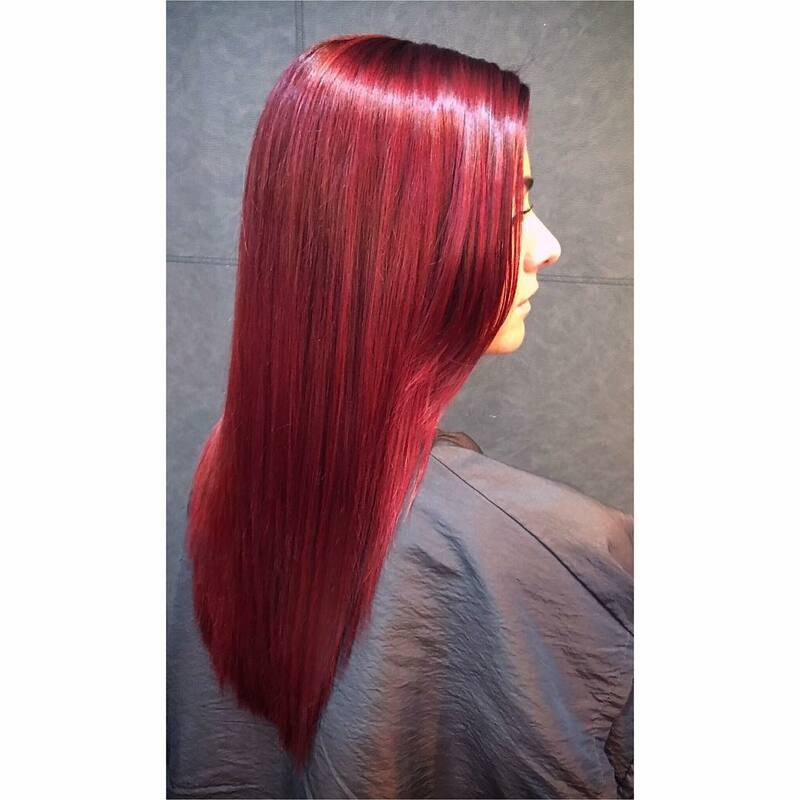 This particular style features a gorgeous ombre transition from dark red to vibrant red, with the two colours melting together seamlessly. Part your hair in the centre and keep your locks luscious and straight. 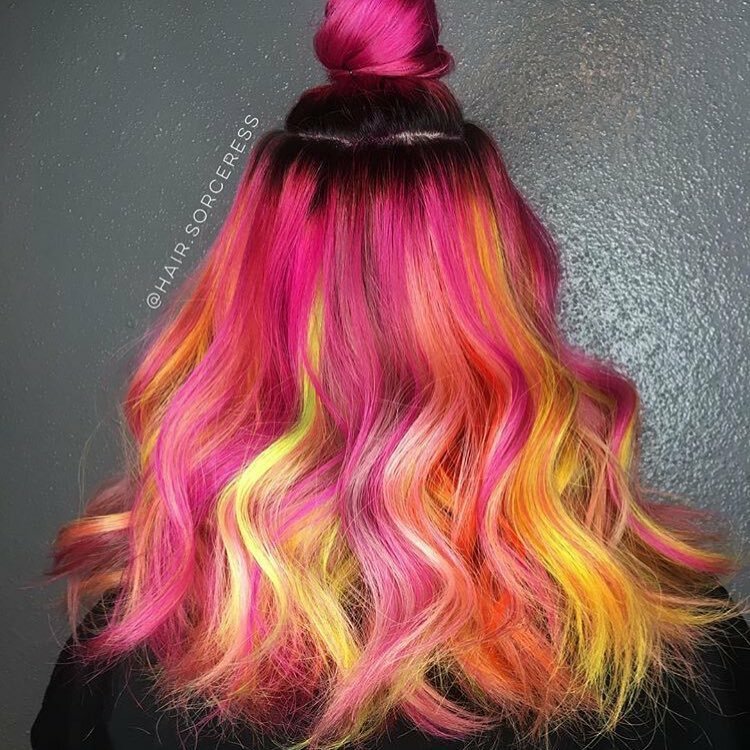 Flick the ends out for a gorgeous silhouette. 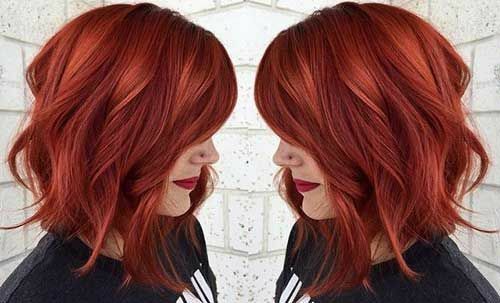 Red hair was made to be noticed – especially this glorious colour! 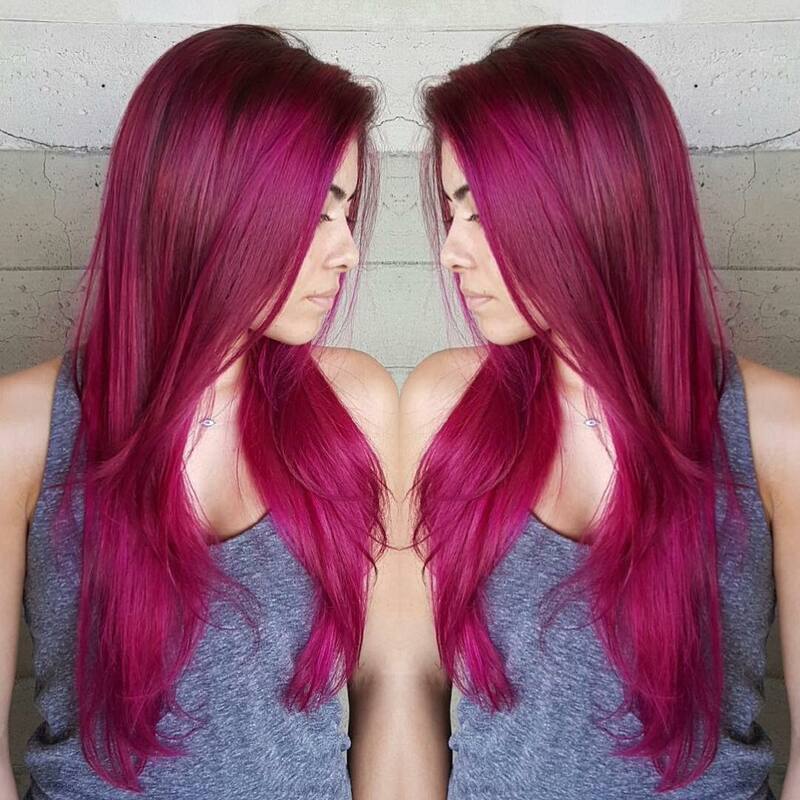 This incredibly vibrant shade of the brightest red brings these incredible locks to life. They’re finished with an incredible gloss and shine. 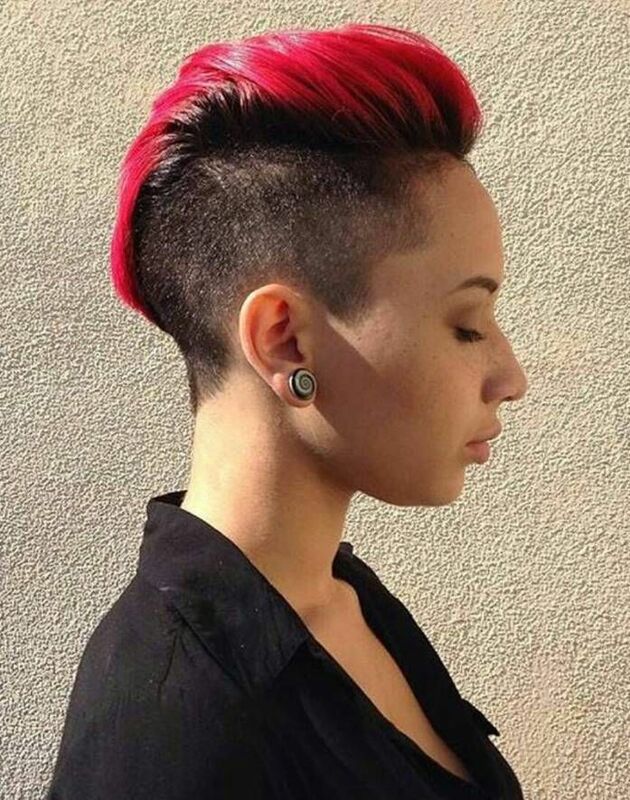 Combine this with the fact the hair is long and cascading down the back and we’re on to a winner. Keep your hair straight and sleek for serious effect. 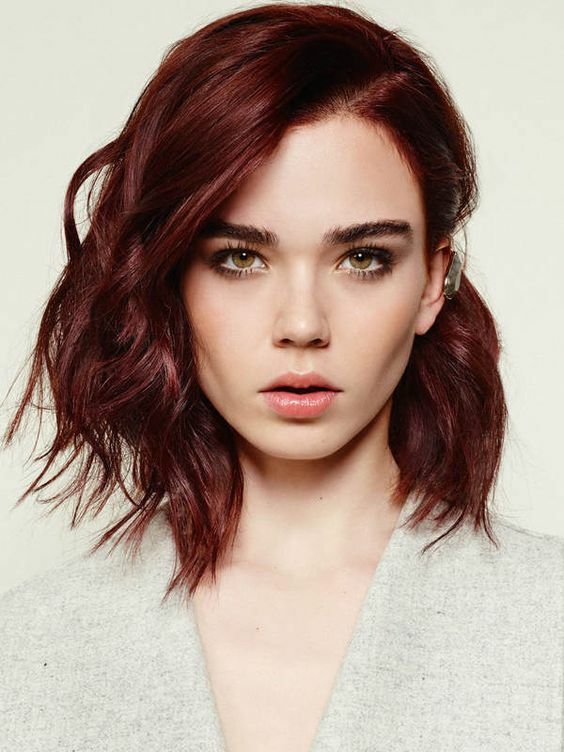 Bobs are gorgeous in all lengths – but we particularly adore those that finish around the jaw level, as pictured above! 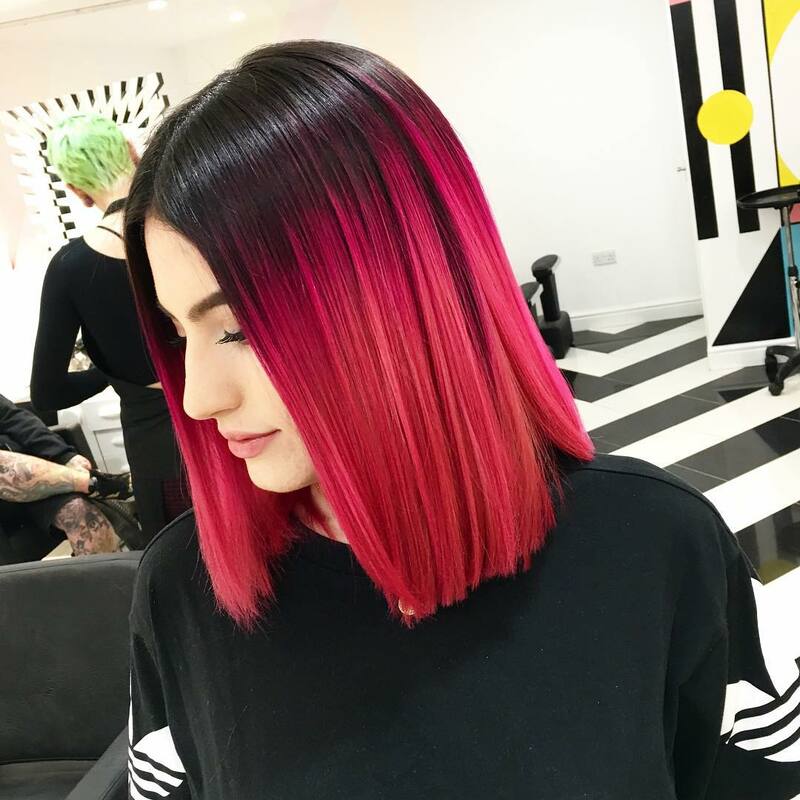 This lady has brought her stunning bob to life by opting for dark roots which quickly blend into the brightest red through the ombre transition. 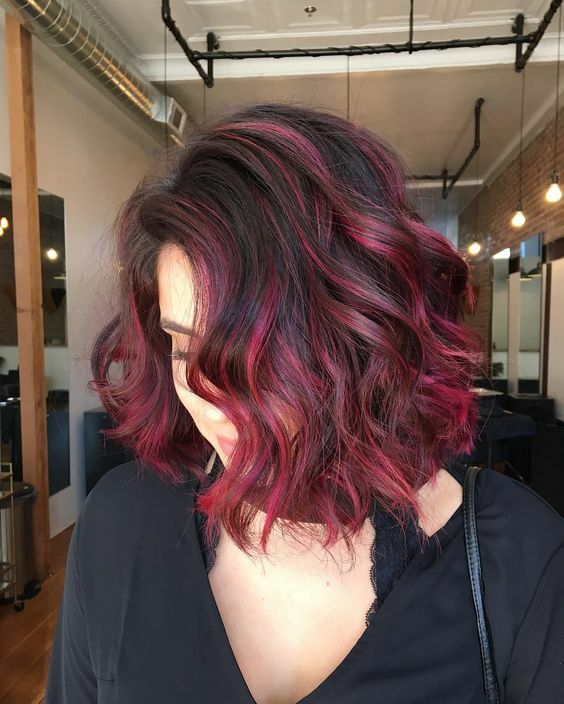 Bring your bob to life by working tons of bouncy curls throughout the hair. 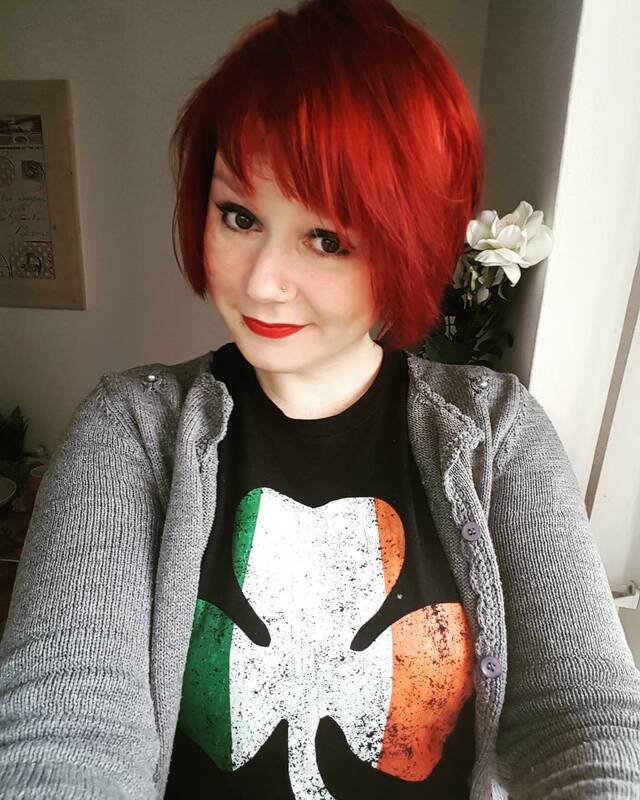 If you have red hair, we hope that this fantastic blog has inspired you to be loud and proud with your luscious locks. 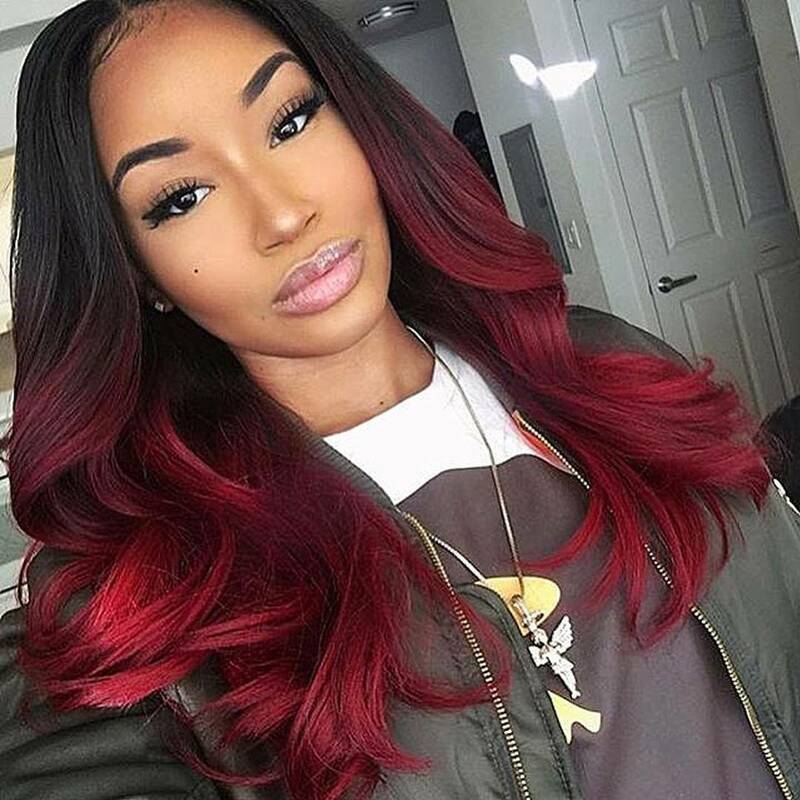 Whichever of these incredible hairstyles you choose to show off your bright red hair – rest assured that your hairstyle will be seriously special.